Bobby Previte is an accomplished musician whose first stage appearance occurred in 1956 at the Niagara Falls Talent Show, where, adorned in an over-sized suit with guitar in hand, he belted out a solo rendition of Elvis Presley’s ‘Hound Dog.’ Eight years later, thinking drumming might be a good way to get girls, he fashioned a bass drum from a rusted garbage can; a kick pedal from a wire coat hanger wedged between two pieces of linoleum and a rubber ball stuck on top; tom toms from upside-down trash bins; cymbals from aluminum pie plates suspended on plungers; and a box of loose junk for a snare. He practiced drumming for a year in his dark basement with a lone spotlight shining on him before eventually starting the band, Devil’s Disciples. But, when they finally got a gig at the local church, he was fired for not having ‘real’ drums. Seeking revenge, he took a job as a paperboy, saved every penny, and a year later bought the Rogers drum kit he still uses today in concerts all over the world. 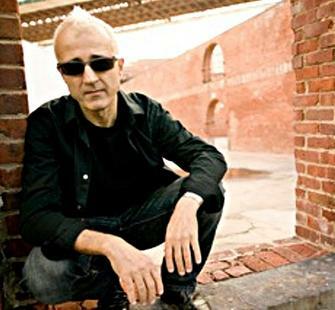 In addition to live concerts, Previte has recorded numerable albums, taught master classes, participated in artist residencies, and appeared on Saturday Night Live in 1984 as well as Short Cuts in 1993. He has received awards for his work from NEA, NYSCA, NYFA, Franklin Furnace, The American Music Center, MCAF, Mid Atlantic Arts, NY State Music Fund, Lower Manhattan Cultural Council, and The Jerome Foundation.